Beautiful high society type Doris Worthington is entertaining guests on her yacht in the Pacific when it hits a reef and sinks. She makes her way to an island with the help of singing sailor Stephen Jones. Her friend Edith, Uncle Hubert, and Princes Michael and Alexander make it to the same island but all prove to be useless in the art of survival. The sailor is the only one with the practical knowhow to survive but Doris and the others snub his leadership offer. That is until he starts a clam bake and wafts the fumes in their starving faces. The group gradually gives into his leadership, the only question now is if Doris will give into his charms. This one I enjoyed a lot. It's a musical romantic comedy. The story line is a lot of fun. Gracie Allen plays a ditz so well. Unfortunately George Burns and Gracie Allen had a rather small part in this one. The main stars being Bing Crosby and Carole Lombard. If you never seen this one I would definitely recommend it. After a scientist creates the first television, a cast of characters from around the world (including W.C. Fields, George Burns, Gracie Allen and Bela Lugosi) clamour to purchase the rights at the International House Hotel in China. This one I liked quite a bit. Unfortunately not so much because of W.C. Fields. More because of George Burns and Gracie Allen. 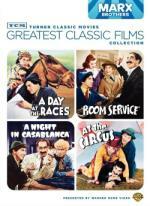 After watching three of his movies recently I found I just not much of a fan of W.C. Fields. I mean he seems ok at best... but I just haven't found him all that funny so far. But then maybe I just haven't hit on any of them where he shines. On the verge of Bankruptcy, the president of the faraway country of Klapstokia (W.C. Fields) is persuaded to enter his country in the 1932 Los Angeles Olympics as a means to raise money. This one I just couldn't get into. While it a decent scene here and there. For the most part I found it unfunny. While this one is barely over an hour I found myself watching the clock for it to end. I started to wonder if I would make it till the end... but I did. It's a perscription of laughteras the Marxes skewer the medical profession and bring home a racetrack winner. On your Marx for tootsie-frootsie ice cream, madcap medical exams, wallpaper wackiness and more. Another good addition to my collection. I got a lot of laughs out of this one. One of my favorite scenes must be Groucho as a doctor giving Harpo a medical exam. I have found I really like The Marx Brothers. For me they are right up there with Abbott and Costello as favorite classic comedy teams. It's the Nazis vs. the nutsies when the brotherly trio foils Axis criminal activity at a hotel swirling in intrigue and whirling with nonstop nonsense. Another fine film from The Marx Brothers. I think I liked the previous one I watched a little better but this one still has plenty of good laughs. I especially liked the packing gimmick in this one. Recommended... well worth the time put in to watch it. Simple-minded Harold foils a robbery with the help of his new-found friend, a vicious dog. I realize this film is 100 years old (made in 1917)... and I imagine they did what they could but this one was hard to watch what with all the film scratches and even the audio was filled with static. The story itself wasn't bad. It started off a little slow but was worth the watch. Some of the boys compete in the Mayor for a Day contest and the winner gets to take Darla to the strawberry festival. Alfalfa vs. Butch for Darla's attention. Not a bad short... but was very predictable. 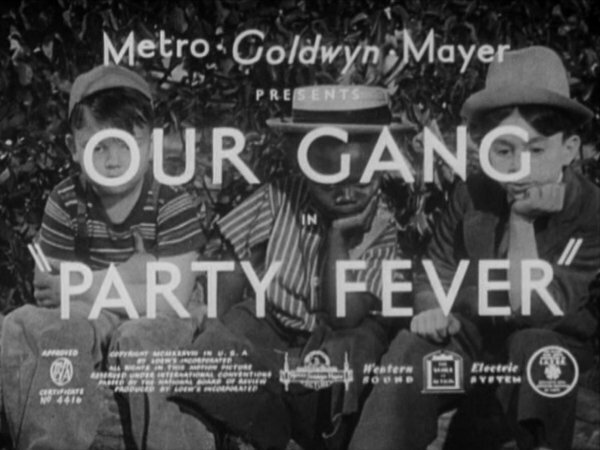 Lucille Ball and Ann Miller co-star with the boys in a riotous romp about a cash-strapped theatrical troupe trying to nail down a backer for their new broadway venture. Lucille Ball joins the guys in this one. While it is not my favorite Marx Brothers film so far I did enjoy it quite a bit. This shows one heck of a difference between back in the '30s and now. I don't believe there is any way a hotel would let you get behind on the bill now a day... let alone be forced to keep you there if you are sick. Not that I get to stay in a hotel frequently enough to know. Either way... a fun film... worth the time put in to watch it. 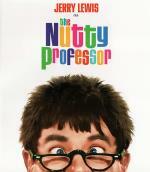 The title's eponymous professor is Julius F. Kelp (Lewis), a shy, bumbling chemistry teacher who has a mad crush on his student Stella Purdy (Stella Stevens). When he tires of being made fun of, Kelp develops a magic potion that turs him into smooth and smarmy nightclub singer Buddy Love. Stella is drawn to Buddy but, unfortunately, the potion's formula is unstable and Buddy keeps slipping back into Julius at the most embarrassing moments. A fun film... but I somehow remember it being better. Jerry Lewis used to be a favorite of mine but I guess my taste in comedy must have matured since then. Or maybe I haven't found the right film... though I do think this is one of his bigger hits. Comical chaos ensues when the trio flicks the switch of a time-machine that transports them to ancient Greece. I enjoyed this one more then I thought I would. I feel they did a good job with the story. This is one I thought I never heard of before... but some of the scenes really seemed familiar to me so I wonder if maybe I seen it as a kid. The Stooges set sail for a globe-hopping trip, after being enlisted by a con man that needs to win a bet. Not as good as the last one... but a fun film. They had Curly Joe doing one of Curly's old skits. Going nuts when he hears the tune Pop goes the Weasel. While I never liked Curly Joe as a kid I found I have been able to enjoy him more now. Though I still prefer Curly. 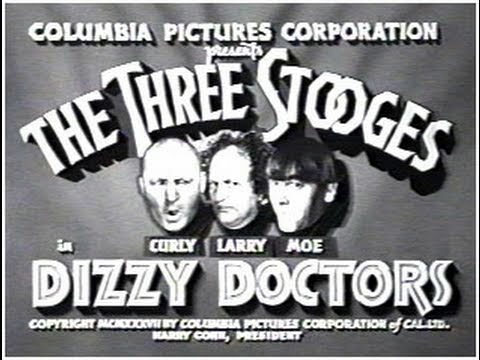 Musical hilarity ensues when three out-of-work-actors, Moe, Larry and Curry, find jobs through a talent agency. This one I had a hard time keeping my interest in. I found I didn't care about the characters or the story line. The best thing about this one was the Three Stooges. Unfortunately they are only side characters in this one so they really don't have that much screen time. I doubt I will be giving this one a second view. No big deal if you miss this one. When the Stooges get a prizefighter drunk, Curly has no choice but to step in and take his place inside the ring. 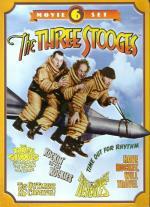 This was a really fun short The Stooges are slapstick at it's best. Sure they did the basic same thing with boxing (this time with wrestling) but I found I really didn't mind. 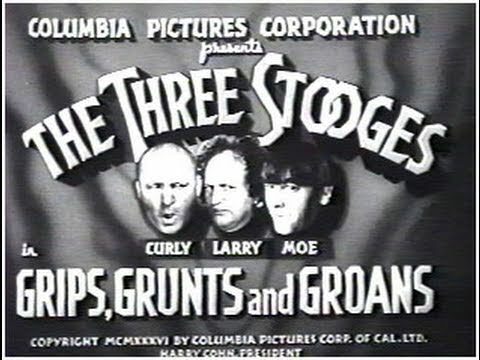 After a few of the Stooges full length movies it is good to see some early stuff with Curly. The Stooges' wives have issued a warning: you snooze, you lose. So they get a job selling a miracle medicine, but it'll be a miracle if they can sell it. I enjoyed this one quite a bit. I do think it is the first time I ever seen the Stooges have wives. This one not only had the slapstick they are famous for... but lots of chase scenes that I enjoyed as well. Their father's plan to marry prompts the Stooges to break out of jail to save him from himself...and, it turns out, from his intended's dangerous posse. There is some fun here. But not quite as good as the last couple I watched. Though I must say I did like the duel role for Curly.